I really love the "The Snowman" animation film. The music, the way is it drawn.. The body, head, hat and scarf I made with 8 ply acrylic wool (hooksize 4.0 mm). My snowman measures around 16 cm tall. The eyes, nose and buttons I made with cotton (hooksize 2.5mm). If you use wool/acrylic, the dimensions may be off, but then you just need to play around a bit. Create the illusion of arms by sewing the sides together on each side, leaving a little tube/arm. Start about 2 cm from below. The back and front of the body do not need to touch each other, so you do not need to very pull hard. Just create an indent. Continue until you are happy with the length of the arms. sew head on body, wrap scarf around neck and put on hat. 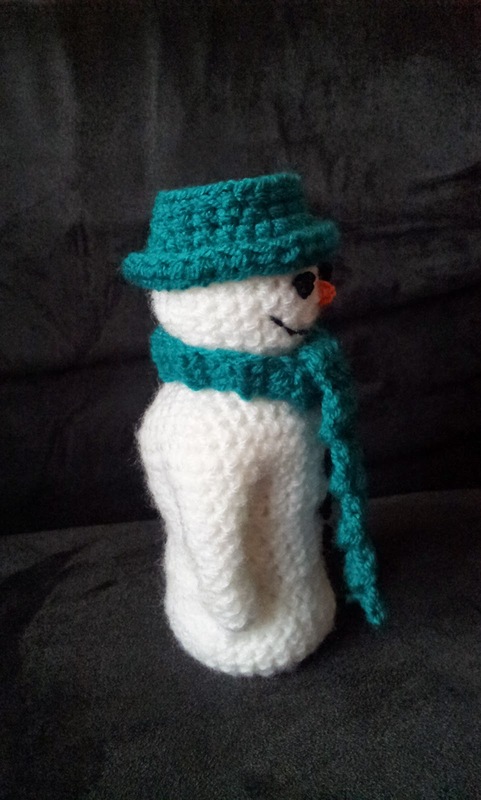 Note: You may NOT use this pattern, or the snowmen produced using the pattern for commercial/retail purposes. 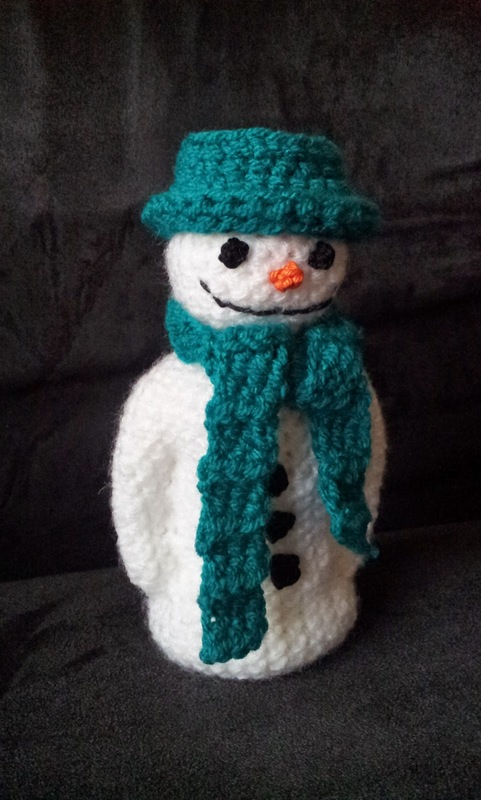 You are free to use this pattern to make as many snowmen as you like for personal use/gifts. Please do not post this pattern anywhere else or claim it as your own. If you use my pattern and blog about it I would appreciate a link back to my blog (so others can make it too! =)).